How Long Will My Workers Comp Case Take? What is the expected time frame? What obstacles might I encounter? Can I get interim payments? Worker Compensation cases in North Carolina follow guidelines set forth in the North Carolina General Statutes. It’s quite important to make certain proper Notice is given to the employer and formal claim filed, when appropriate. Given it is a pretty complex area of the law, we encourage you to speak with a North Carolina Workers’ Compensation Lawyer without delay. With offices in Greenville, Jacksonville, New Bern, Morehead City, and Beafuort, NC, we stand ready to answer your questions. 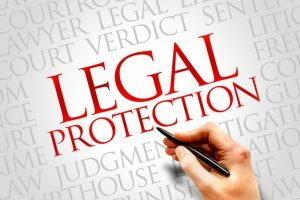 What does an Attorney need to move forward? As attorneys experienced handling North Carolina Workers Comp cases, we like to start by first meeting with the client. That may take place at the office. We also are able to come to your home and even the hospital, if that helps. What are your work duties? 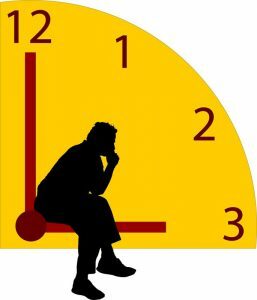 Who is your immediate supervisor? Have you let your employer know you were hurt? Were you taken to the hospital? Was EMS Emergency Medical Services called? Were you taken by an ambulance or helicopter? Did you fill out any paperwork prior to leaving for the hospital? Have you given any written or recorded statements? What have doctors shared with you? How long does the hospital think it will be before you are released? Are you doing physical therapy? Do you know all the names of the doctors who are treating you? It’s important to begin immediately to document, record, and collect materials in NC Work Comp Cases. That may include getting contact information for witnesses, co-workers, supervisors, pictures, statements, and video evidence, if such exists. We don’t like to wait. We want to gather as much as we can to collect what we need to help present a claim. It would be a mistake to assume proof of your injury will last forever. Even if unintentional, it does help a case when documentation is destroyed. That’s why we spend a good amount of time, and effort, in getting the background information. Assuming you retain Dodge Jones Personal Injury Law Firm, we will prepare a Medical Authorization and Release to obtain Medical Records, Billing Statements, and Treatment Summaries. SEE MORE: What are my legal options if I was hurt at work? What do NC Comp Lawyers charge? Legals fees for Workers’ Compensation Lawyers in North Carolina are normally set forth in a Contract of Employment. At Dodge Jones earn legal fees if, and only if, a settlement or award is achieved. That’s called a “Contingency Fee.” We earn the fee, contingent upon a recovery. If we are not able to obtain a financial settlement or recovery, we don’t charge or receive a fee. It is important to note, there may be costs associated with making a claim, such as Filing Fees, Court Reporter Costs, things like that. Whether it is our firm or another, in North Carolina, clients are always responsible for the costs associated with litigation. If you have questions about any of this, we’re more than willing to explain our Fee Structure, normal costs of presenting a claim, and what we anticipate what would be expected in your matter. Kevin Jones is a Board Certified Workers’ Compensation Specialist in North Carolina. He is from Eastern North Carolina, having attended high school in Carteret County. Thereafter Kevin received is Bachelor’s Degree at the University of North Carolina in Chapel Hill and his Juris Doctorate at Campbell Law School. Hi. I’m Kevin Jones. I’m here to talk today about trends in the fall of 2017 in workers’ comp in North Carolina. I can say that whether it’s been changes at the commission, rule-making, or some of the changes with the workers’ comp act, the statutes, things have gotten faster than they were 15 or 20 years ago. That’s still not fast. It’s still potentially years to final conclusion after appeals, but maybe not nearly as many years as you would have seen, again, years ago before these changes. Now, that’s in a denied claim. You’ve got maybe a two-year beginning-to-end window when you’re dealing with appeals. Maybe longer, maybe shorter, but that’s still better than the way it used to be. They have streamlined things. They have really focused at the Industrial Commission on trying to get opinions out in a more timely manner. I would say that many years ago, I’d be waiting three or four years for a final decision after an appeal. That’s not the case anymore. That’s the good thing. But that’s in a denied case where there are no benefits being paid until the end, if you win. In admitted cases, it’s actually gotten better on several fronts. They have changed the rules so that you have the option to have an expedited hearing procedure when it comes to denied medical treatment. You can get things resolved potentially a good deal quicker than you could in the old days. That’s one thing that’s really helped. 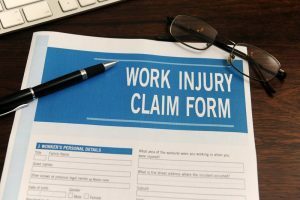 The other aspect of the workers’ comp, and admitted claims, where benefits are being paid, that has also become, I would say, a lot better as far as how long it takes things to get resolved. I think over the years the commission has done a much better job of resolving issues regarding attempts by the carrier to cut off benefits, to resolve issues concerning whether or not somebody is complying with either medical or vocational rehabilitation efforts, and whether or not benefits should be suspended because, for example, they’re not doing the job search that they’re supposed to be doing in order to get back to work. That is a basis to have benefits cut off under certain circumstances. Those kinds of procedures have been greatly improved so that, for example, one thing that always used to be a problem when somebody had not been doing what they were supposed to, whether it was showing up for a doctor’s appointment, or showing up for physical therapy, or meeting with their vocational counselor, there was a suspension of benefits, but no real clear path to determine when they were in compliance and could have the benefits reinstated. In other words, “What did I have to do to get right with the Industrial Commission so that I can get my benefits reinstated?” That was one change that happened actually a little while ago that has really helped in those circumstances. Because at least the person, they might come to see me and their benefits have been suspended because they weren’t doing what they were supposed to. Now I should have an order from the commission explaining exactly what they need to do in order to get those benefits started again. They need to spend this much time for this many weeks engaged in job search efforts and filling out job applications. Or they need to attend X number of physical therapy appointments without missing one before their benefits are going to be reinstated. We didn’t have that in the old days. In the old days, the benefits got suspended and basically you were headed to court, and you were back in that two-year. You might as well have had a denied claim because you were back in that two-year process of trying to get the benefits reinstated without any real shortcut. There are some things that are better at the Industrial Commission, particularly with admitted claims where you’ve got access to justice, access to a decision where you have rights that can be adjudicated by the commission in a much more timely fashion than in the past. It’s not simple. 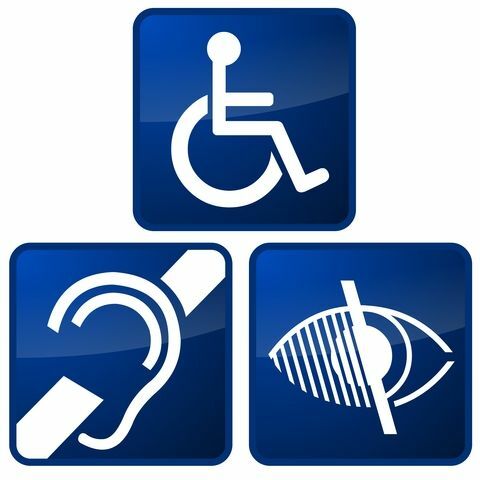 It can be confusing and complicated the way these rules operate, the steps that you have to go through in order to get benefits reinstated, if that’s your situation. The steps that you have to take if you want to get a second opinion with a doctor of your choice, rather than the doctor they sent you to. If you’re struggling with that and you’re just hitting a wall, and they’re telling you, “No, you can’t see another doctor, end of story,” that’s not necessarily true. It may very well be a situation where you need help. Again, I’m happy to sit down and talk with you. Give us a call. We’ll figure out what we can do in your case.